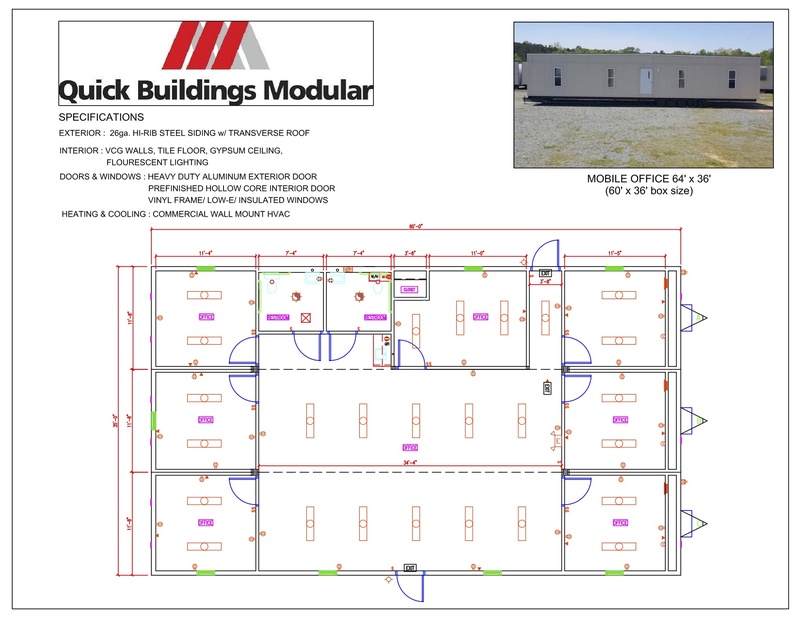 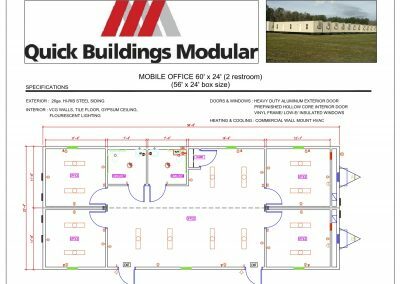 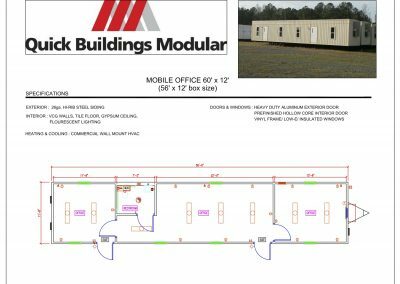 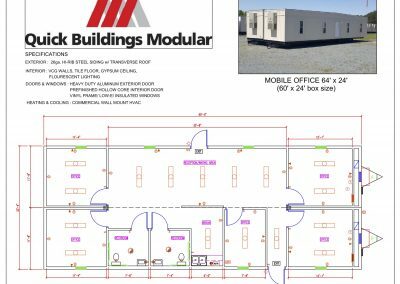 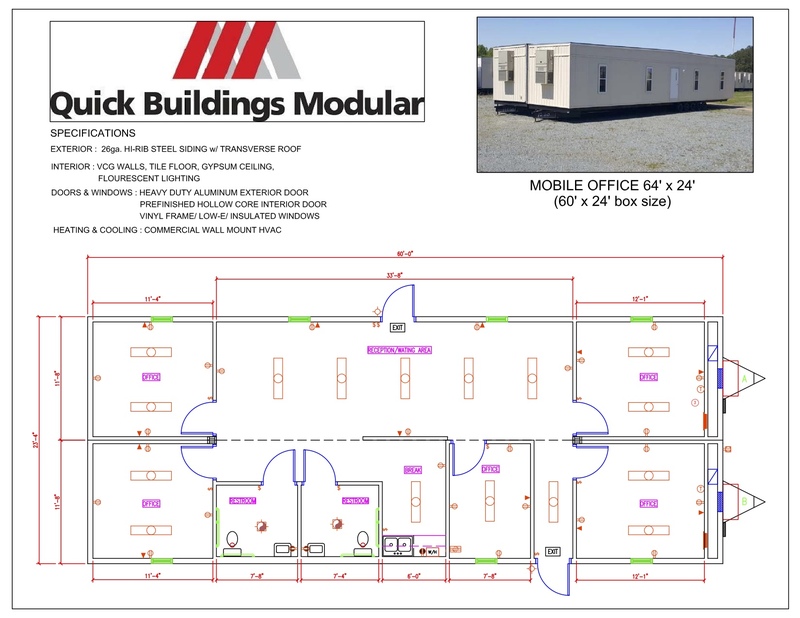 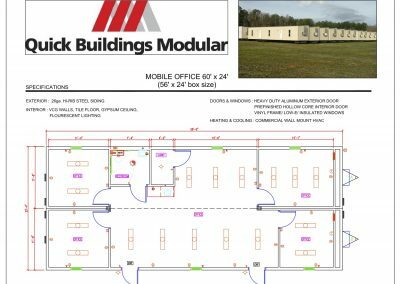 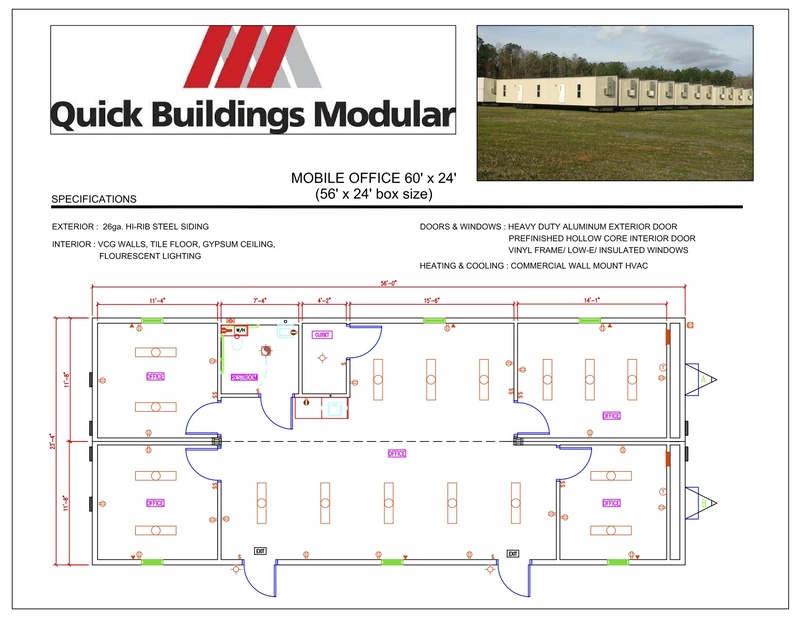 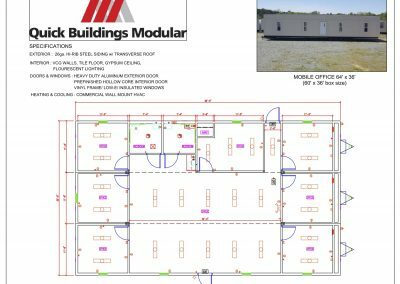 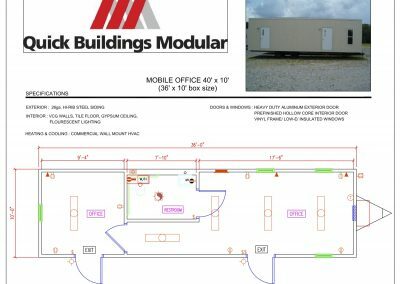 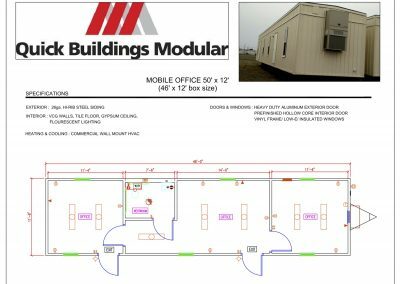 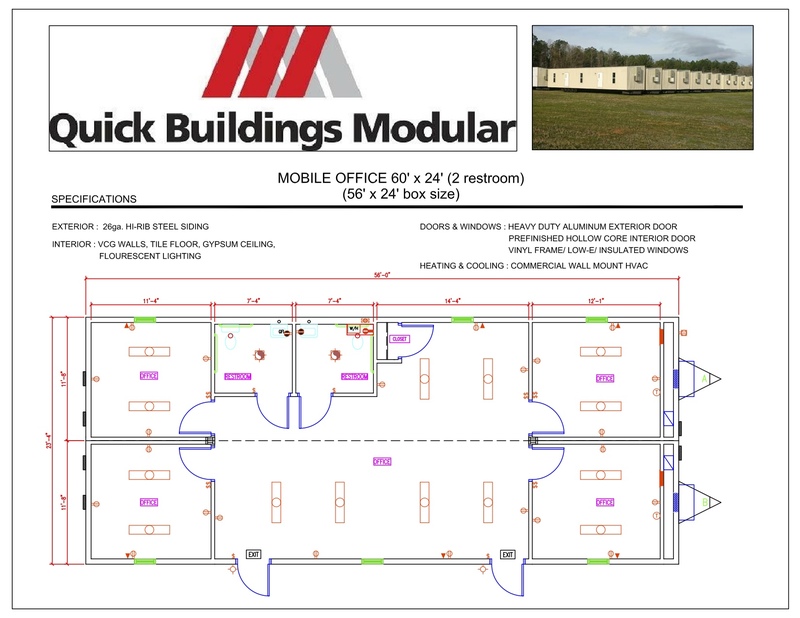 Quick Buildings, a licensed modular building company, builds custom modular buildings for educational, healthcare, commercial, and government purposes. 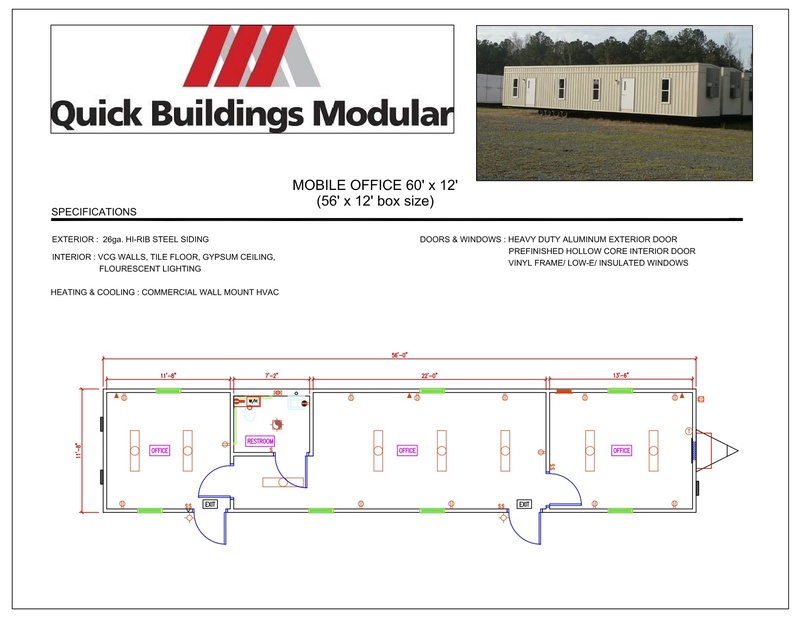 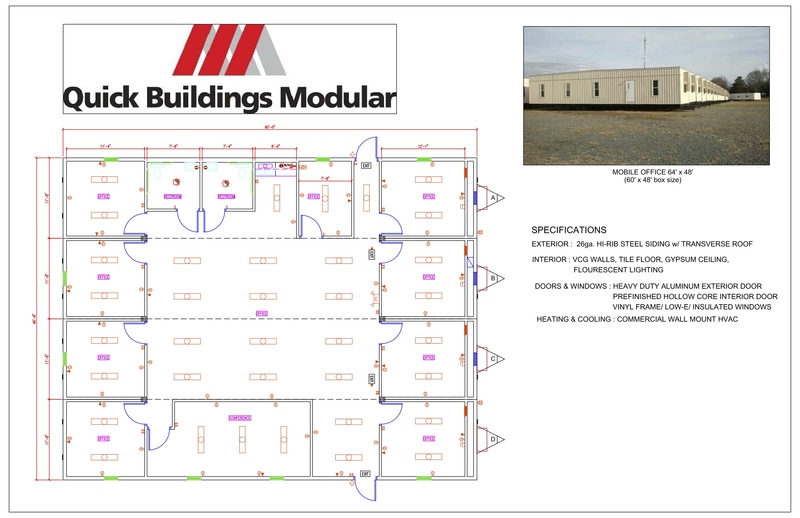 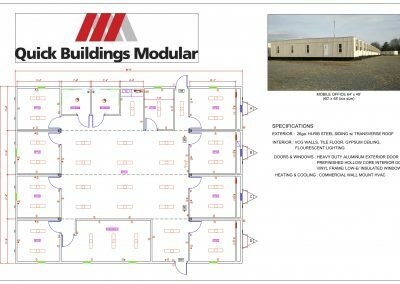 The modular floor plans below are a small representation of possibilities and can be customized to fit your needs. 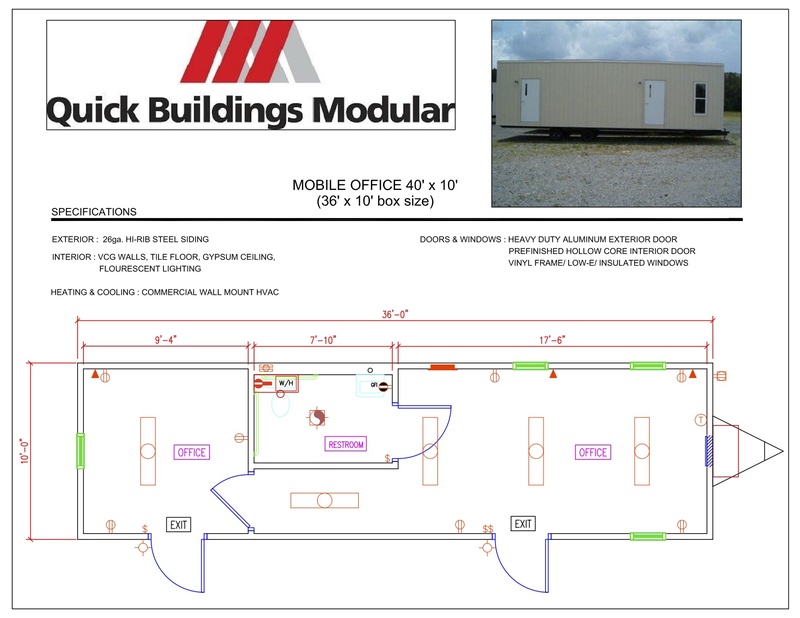 We have extensive experience providing portable classrooms, banks, institutional housing, and medical clinics. 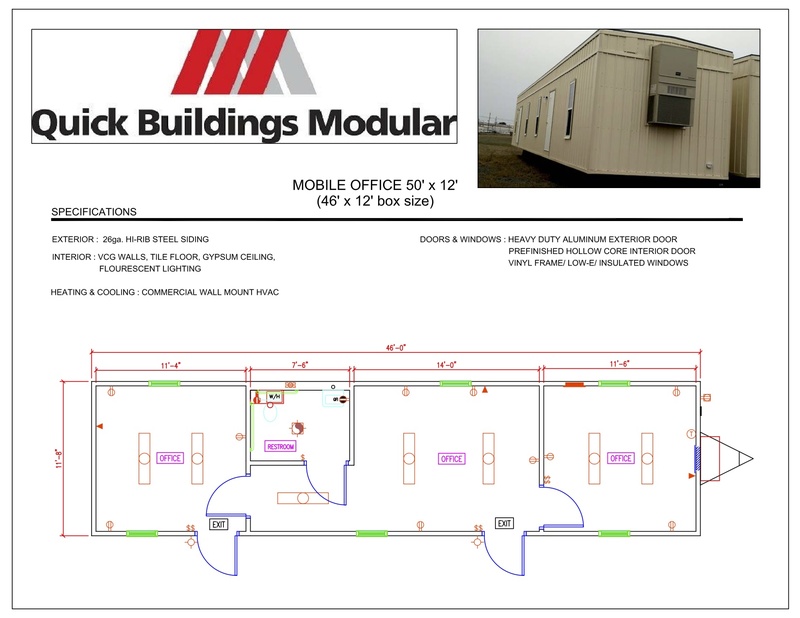 Call us today for a free quote 800-521-2503.